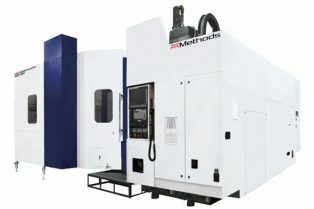 Specialties include Aerospace, Power Generation and Automotive Industries as well as Precision Large Capacity Multi-Axis CNC Milling & Turning Machinery, CNC & Manual Chipmaking and Fabricating Machinery, Gear Machinery, Grinding Equipment, Plastic Injection Molders and Presses. As long time and active members of the Machinery Dealers National Association (MDNA), most machines are offered with a 30-day MDNA return privilege. A global leader in industrial liquidation services, Prestige provides an array of effective solutions for manufacturing companies undergoing plant closure or downsizing, Included are the full or partial purchase of assets and real estate, cash guarantees and commission sales. A broad yet unique approach to the marketplace allows Prestige to provide maximum returns for clients. Our Asset Management Programs provide clients with focused, organized and effective mechanisms to remarket their assets, either through direct marketing campaigns, time-managed online sales or consignment to our warehouse facilities. With a database of more than 125,000 manufacturers worldwide, clients are provided with the best opportunity to realize the maximum market value for their assets. Prestige has a broad range of Financing Programs that can be tailored to each client's specific needs. As members of the Association of Metalworking and Equipment Appraisers (AMEA), we have Certified Equipment Appraisers (CEA's) on staff. Adhering to the latest USPAP compliance, we provide professional, timely, accurate and reliable appraisals for all types of machinery and support equipment, from a desktop appraisal to an inspection resulting in a detailed report. Clients include manufacturing companies, banks and leasing companies. With an international marketing reach, clients that are selling their businesses are afforded broad yet focused exposure to potential buyers in every facet of manufacturing around the globe. With a full service warehouse totaling over 150,000 square feet of heated space, no machine is too big for Prestige Equipment to handle. Conveniently located less than 10 minutes from Philadelphia International Airport, our warehouse is equipped with 100-ton crane capacity, with 60 feet under hook. A full time staff and on-site millrights oversee professional rigging, export packing, and international shipping services. Prestige Equipment is proud to be exclusive distributors of Tos-Kurim, CKD-Blansko-OS and Skoda product lines. We are proud and active members of the Machinery Dealers National Association (MDNA), the world's preeminent used machinery trade association. Prestige is committed to providing the trust, integrity and assurances that our clients should expect when purchasing or selling used machinery.